Here's what Scott Piercy can teach you so you can hit more greens. On approach shots, the best players take a post-impact peek. Copy Scott Piercy's follow-through and rattle pins with every iron in your bag. 1. MAKE YOUR GRIP A "10"
Piercy's hold on the club is unique—all 10 fingers squeeze the handle. It's not often taught, but the 10-finger grip offers added control, especially through impact. If you have trouble squaring the clubface—leading to a lot of slices or hooks—try it out. Here, his upper body still angles toward the ground, but his eyes and head have rotated toward the target, "following" the ball on its flight to the pin. Copy this and you'll stay on plane and add speed. 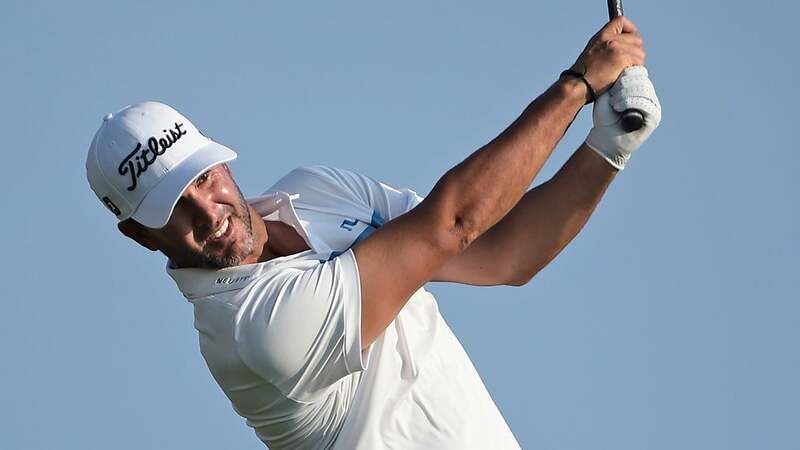 Piercy's left arm folds up, with his elbow pointing at the ground (not "chicken-winging" toward the target). Textbook! With this move, the right arm can "snap" straight post-impact for max clubhead speed. The key? Keep rotating your body after the ball is gone. Elite ballstrikers move their left knee ahead of the ball at the start of the downswing, then roll their left foot toward the target, keeping weight over their left heel. Slicers do the opposite: They straighten the left knee immediately. It's an easy fix—keep your left knee "soft" until impact. If your sequence is on, it'll straighten by itself. 17'8" — Piercy's average proximity to the pin from 100-125 yards during the 2015-16 season, among the best on the PGA Tour.